The Walking Dead returns to the dreadful Sanctuary in “Hostiles and Calamities.” After being taken by Negan, Eugene learns that the Sanctuary offers both extreme danger and unusual reward. Eugene isn’t the only one trying to negotiate a difficult situation at the Sanctuary, as Dwight finds himself dealing with the aftermath of Daryl’s escape. “Hostiles and Calamities” was directed by Kari Skogland (“The Next World”) and written by David Leslie Johnson (“Swear,” “Triggerfinger,” and “Chupacabra”). The Walking Dead reminds us that life at the Sanctuary is complicated. At the Sanctuary, loyalty must be shown to Negan through killing, producing, kneeling, and reciting the mantra “I am Negan.” Part of Negan’s control is to keep everyone off balance with his unpredictable and brutal behavior. Just when you think he’s going to throw someone in the hole, he invites them into his inner circle. When residents come to expect disfigurement for punishment, Negan takes things a step further with total immolation. Negan has all the hallmarks of an abuser, alternating between torture and charm, using psychological manipulation to control those around him. The first half of Season 7 of The Walking Dead relied on this kind of storytelling, sometimes inflicting what feels like a form of secondary trauma in viewers. We can’t say that we’ve missed it. Despite this, there are some intriguing plot twists and strong performances by Josh McDermitt (Eugene) and Austin Amelio (Dwight) in “Hostiles and Calamities.” There are also some great comic moments by both McDermitt and Negan (Jeffrey Dean Morgan). Eugene is one of our favorite characters, so more Eugene on screen is always a plus. Eugene arrives at the Sanctuary terrified, and rightfully so. Yet Eugene receives a much more comfortable welcome than Daryl did. Instead of being stripped and put in a cramped, lightless cell, Eugene is taken to a large room with a stove, fridge, bed, clothes, and a TV. When Eugene turns on the radio, it plays “Easy Street.” As Eugene enjoys the music, it’s clear his experience at the Sanctuary will be very different from Daryl’s. When Eugene gets a signing bonus of spending time with Negan’s wives, he ends up charming and entertaining the women. Later, wives Tanya and Frankie come to him asking for a suicide pill for Tanya. He reluctantly agrees. Eugene shows how he’s adapting to life at the Sanctuary when he aggressively takes what he wants from one of the vendors in order to make the pills. It ism’t until after he witnesses Negan’s brutality that he reconsiders. When he confronts Tanya and Frankie about the pills really being for Negan, it’s not clear if he’s refusing to participate because he doesn’t trust the women, he fears the wrath of the Saviors, or he’s decided to accept his role at the Sanctuary. Perhaps it’s just not the right time. Has Eugene completely given himself over to the Saviors or is he just playing a role while he bides his time? One way or the other, Eugene is a survivor. Just before Negan returns from Alexandria, Dwight realizes that Daryl is gone. Dwight knows there’ll be hell to pay, and he’ll be the one expected to pay it. Dwight discovers the note given to Daryl and seems to recognize the handwriting. Negan reminds us that torture doesn’t work, in terms of learning the truth, because the doctor confesses to a crime he didn’t commit in order to avoid a hot iron on his face. For a moment Negan seems appeased, but then grabs Dr. Carson and throws him into the fire. Dwight certainly isn’t above someone else being killed to save his own skin, especially a creepy collaborator doctor. Later, Dwight goes out to properly introduce himself to Eugene, who once upon a time gave him a nasty bite. Before Dwight can say much, Eugene says, You’re Dwight. We are Negan.” Dwight stares at him, and softly answers, “Yeah.” Was he hoping to find a rebel partner in Eugene? And is Eugene really as indoctrinated as he seems? Has Eugene actually changed, or is it an act? Is Dwight still loyal to Negan, or is he looking for an out? These are questions that are unlikely to be answered for at least several more weeks. There are cracks within the Sanctuary. Dwight deceived Negan about what happened with Sherry, and Negan’s wives were plotting to kill him. This could also be a turning point for Dwight, though it’s not clear what he could do against Negan. If Eugene is still loyal to Alexandria, perhaps he can help them in some way when war comes. On the other hand, Eugene is already sharing knowledge about making bombs and creating steel-reinforced walkers, so his quick wit could end up making the Saviors even harder to defeat. “Hostiles and Calamities” presented Dwight and Eugene each at their own crossroads. Though not much was revealed about Dwight’s thoughts, it explored his past. Amelio was able to portray Dwight’s anguish and fear in the moments he was alone. As Eugene, McDermitt also gave a performance that fluctuated between base fear and the masking of emotion. Dwight is used to keeping his feelings in check around Negan because he’s been tested for a long time. Eugene is still trying to find his way at the Sanctuary, reverting to playing a role to survive. 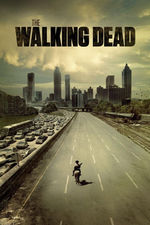 The Walking Dead set the stage for future episodes, as each character will have a role to play in the war to come.